Don’t dismiss this Idea as yet another diet fad. 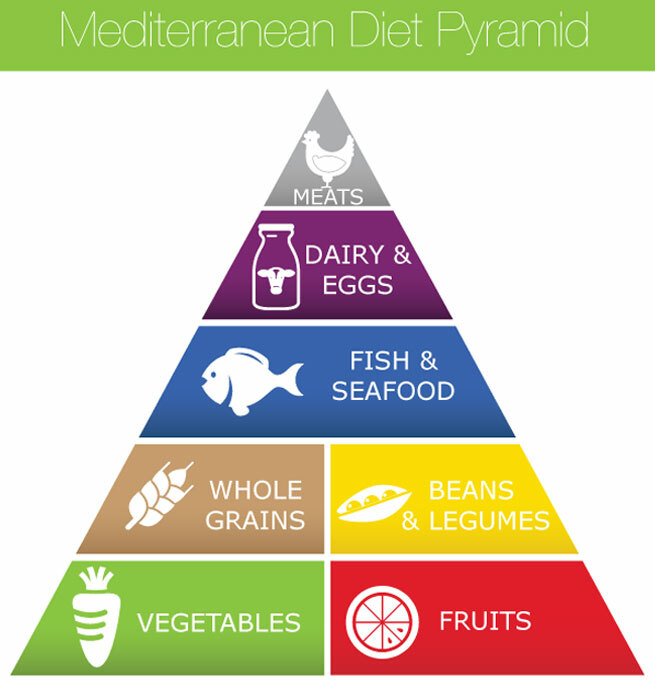 Mediterranean diet has been scientifically proven to help lose weight. Well, let us clarify. When we say Mediterranean diet, we do not refer to eating Greek and Italian food. 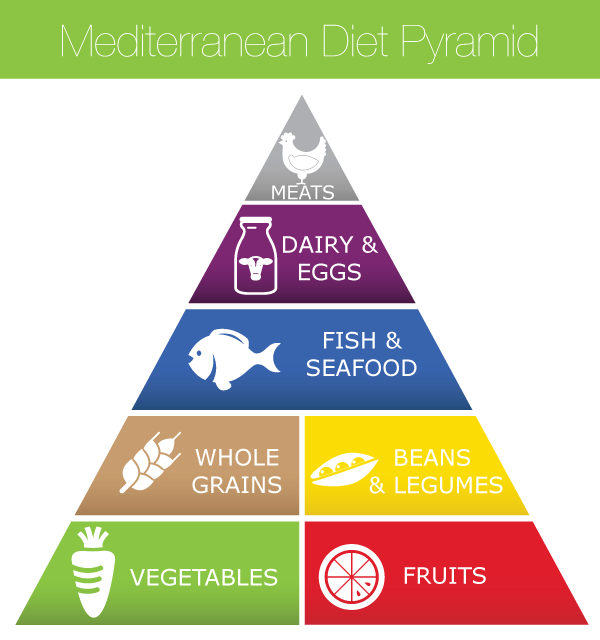 In fact, this diet refers to the eating style of people living in the Mediterranean area. And of course, there staple diet is not Pizza, Pasta, Humus or Pita bread. But then the question comes as to why Mediterranean style of eating. The key is that the people living in that area were found to be less vulnerable to heart diseases, had higher life expectancy and were least susceptible towards various chronic illnesses. So what is this diet and what are the foods included in this kind of diet? You will be surprised to know that the diet does not restrict any food in particular but lays more stress on the amount and frequency of its intake. At the same time, it suggests healthier substitutes in replacement of foods which are not healthy. Instead of consuming processed food, you should eat whole grains like wheat, barley, oats, millet, corn and brown rice. This will provide the much needed proteins and carbohydrates to the body and reduce the bad fat entering our body. Olive oil does come in the list of must have and therefore you should try to use as much olive oil as possible. It is light and does not contain saturated fat while it is found with abundant mono- unsaturated fat. It saves you from heart diseases. Also Read – How Effective Is Metformin for Weight Loss? Now when it comes to non-vegetarian food, you should act smartly. You should consume least of red meat while you can indulge in lean meat. Also fish can be eaten twice in a week provided it is oily or white fish. It serves as an excellent source of protein for your body. Here we are talking about red wine. You can consume red wine but in moderation only. Also it should be consumed with food only. However, the most important drink is Water. It is considered as an elixir and should be consumed to the maximum. Dairy products like milk, cheese, yoghurt are considered positively. But they should not be taken in excess. Also whenever possible you should prefer the low fat versions only. When you eat food with good amounts of calories, it is necessary to also burn those calories. Thus half an hour of any suitable physical activity is must. Remember there is no substitute for this. You can have all types of food, but you should take care for the following things. Limit your salt intake. And never take extra salt on food. Sweets and desserts can be relished only once in a while. Dark chocolates or milk based chocolates can be preferred. Last priority should be given to processed food or ready to eat meals. Red meat should be avoided and its consumption should be once in a month only. Caffeinated drinks like tea and coffee should be in moderate quantity only. Thus a Mediterranean diet is neither difficult to follow nor cumbersome to prepare. We hope you shall also give it a try and discover the best health.